SQL Server 2008 Version 2 Released From Microsoft? Does Microsoft Released the Latest SQL Server 2008 R 2 Yet? Earlier this year, Microsoft officials said to watch for a Community Technology Preview (CTP) test build of SQL Server 2008 R2 sometime this summer. “SQL Server 2008 R2 Enterprise Evaluation & SQL Server 2008 R2 Express Edition CTP have just appeared on MSDN”. Microsoft officials have said to expect the final release of SQL Server 2008 R2 in the first half of 2010. Given the tight ties between Office 2010 and SQL Server 2008 R2. The public will get access to the test build on Wednesday, August 12, according to them and there are more updates to come. 1 – Include self-service analysis tools (codenamed “Gemini”) that Microsoft is saying will allow information workers to better “slice and dice data and create their own BI (business intelligence). 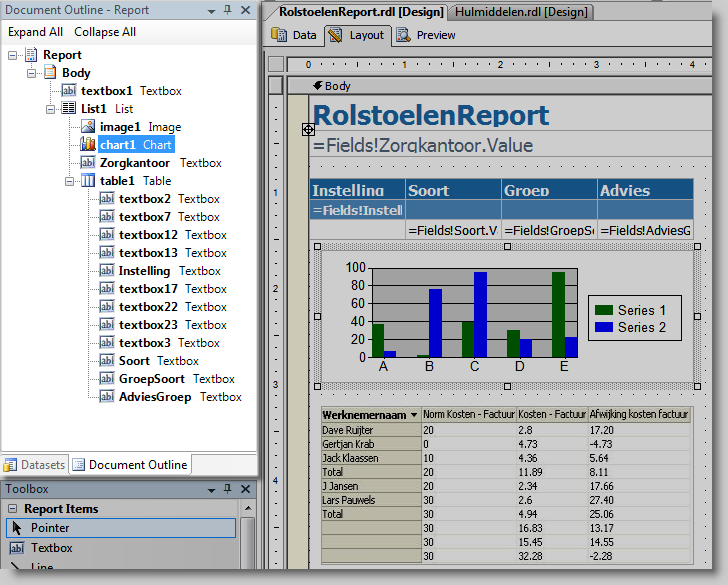 2 – Add-in exerpiences based on Excel, and deeper SharePoint integration, enbling users to share analysis. 3 – Improved with data-warehouse appliance. 4 – PerformancePoint (scorecarding) Server for organization-wide BI and SQL Server for data-platform needs. At SeekDotNet.com, we constantly upgrade our ASP.NET hosting technology to compatible with the latest trends. 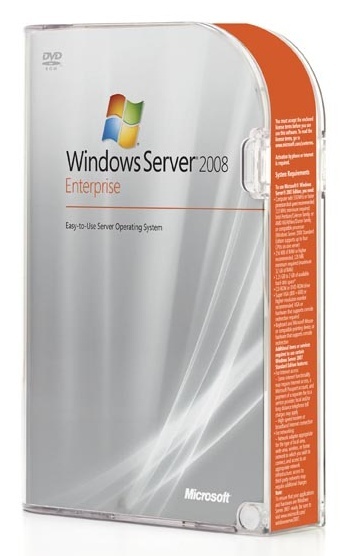 Take charge of the SQL Server 2008 hosting features and get supports from us today. Have you upgrades your applications database to SQL Server 2008? 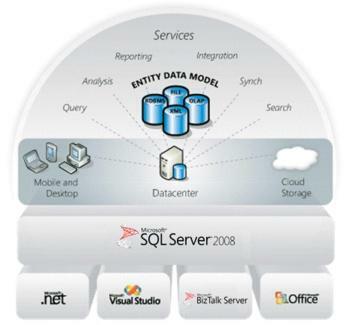 1 – SQL Server 2008 can be a data storage backend for different varieties of data: XML, email, time/calendar, file, document, spatial, etc as well as perform search, query, analysis, sharing, and synchronization across all data types. 2 – SQL Server 2008 includes support for structured and semi-structured data, including digital media formats for pictures, audio, video and other multimedia data. 3 – Backing up and restoring the database backs up or restores the referenced files as well. SQL Server 2008 also natively supports hierarchical data, and includes T-SQL constructs to directly deal with them, without using recursive queries. 4 – Better support for unstructured and semi-structured data is provided using the new FILESTREAM data type, which can be used to reference any file stored on the file system. 5 – SQL Server Reporting Services will gain charting capabilities from the integration of the data visualization. 6 – SQL Server includes better compression features, which also helps in improving scalability. It is recommended to upgrade to MS SQL Server 2008 to obtain the latest and upgraded features of the database structure for easier management and security for your application. You may always consult your hosting provider regarding this matter. If you need more information about SQL Server Express hosting services, you may log on to SeekDotNet.com. These are 4 popular tools that can be used to setup and configure the SQL Server for you application. This the most popular and preferred tools that used by many developers to build their application with Microsoft SQL Server. It can be used to write and debug code to be executed by SQL CLR. It also includes a data designer that can be used to graphically create, view or edit database schemas. SQLCMD is a command line application that comes with Microsoft SQL Server, and exposes the management features of SQL Server. It allows SQL queries to be written and executed from the command prompt. It can also act as a scripting language to create and run a set of SQL statements as a script. Such scripts are stored as a .sql file, and are used either for management of databases or to create the database schema during the deployment of a database. A central feature of SQL Server Management Studio is the Object Explorer, which allows the user to browse, select, and act upon any of the objects within the server. It can be used to visually observe and analyze query plans and optimize the database performance. It includes the query windows which provide a GUI based interface to write and execute queries. It is based on the Microsoft Visual Studio development environment but customizes with the SQL Server services-specific extensions and project types, including tools, controls and projects for reports (using Reporting Services), Cubes and data mining structures (using Analysis Services). You can own build your SQL Server application with these 4 tools specified above host your website with SQL Server 2008 hosting compatible hosting plan. What is SQL Reporting Services? SQL Server Reporting Services (SSRS) is a server-based report generation software system from Microsoft. It can be used to prepare and deliver a variety of interactive and printed reports. It is administered via a web interface. Reporting services features a web services interface to support the development of custom reporting applications. SSRS competes with Crystal Reports and other business intelligence tools, and is included in Express, Workgroup, Standard, and Enterprise editions of Microsoft SQL Server as an install option. Reporting Services was first released in 2004 as an add-on to SQL Server 2000. The second version was released as a part of SQL Server 2005 in November 2005. The latest version was released as part of SQL Server 2008 in August 2008. In SSRS, reports are defined in Report Definition Language (RDL), an XML markup language. Reports can be designed using recent versions of Microsoft Visual Studio with the included Business Intelligence Projects plug-in installed or with the included Report Builder, a simplified tool that does not offer all the functionality of Visual Studio. Reports defined by RDL can be generated in a variety of formats including Excel, PDF, CSV, XML, TIFF (and other image formats), and HTML Web Archive. SQL Server 2008 SSRS can also prepare reports in Microsoft Word (DOC) format. Where to Get SQL Serve 2008 Reporting Services? The SQL reporting services can be obtain from one of the leading ASP.NET hosting provider – SeekDotNet.com. SeekDotNet.com are specialized in providing Windows web hosting and ASP.net hosting services and support for many years. You may contact SeekDotNet.com via http://seekdotnet.com/contactus.aspx for more information on SQL Reporting Services. MS SQL 2008 Hosting – Why Choose SQL Server 2008 Hosting? 1. MS SQL 2008 Enterprise Data Management – SQL Server Express 2008 delivers a more reliable, secure, and productive data platform for line-of-business and analytical applications. This version of SQL Server is the largest release of SQL Server ever, as well as the most dependable and secure release. 2. SQL Server 2008 Developer Productivity – SQL Server 2008 provides an end-to-end development environment that includes many new technologies that empower developers and significantly increase developer productivity. 3. MS SQL 2008 Business Intelligence – The comprehensive analytical, integration, and data migration capabilities of SQL Server 2008 enable companies to extend the value of their existing applications, regardless of the underlying platform. BI solutions built on SQL Server Express 2008 put critical, timely information in the hands of all employees, empowering them to make better decisions faster. 1. Faster Results With MS SQL 2008 Hosting– A new Management Studio and integration with Visual Studio 2008 and the Microsoft .NET common language runtime helps you build, debug, and operate applications faster and more efficiently. 2. Better Decisions – A comprehensive business intelligence platform for data integration, analysis, and reporting that helps you turn insight into action and make better decisions, faster. 3. SQL Server 2008 Trusted Platform – The highest performance, availability and security to run your most demanding applications with native data encryption, secure default settings, and password policy enforcement. If you need more information about MS SQL 2008 Hosting, log on to http://www.seekdotnet.com or contact SeekDotNet.com at http://seekdotnet.com/contactus.aspx.